Rock climb or ice climbing in and around Vail / Beaver Creek in the Rocky Mountains is a fantastic experience. 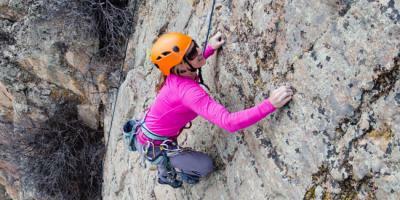 Explore the thrill of rock climbing or ice climbing with professional guides that will teach you the skills needed in the area of Vail / Beaver Creek for rock and ice climbing. Great for the family, singles, groups, and corporate teambulding. with all the outfitters, your saftey is their number one concern. A sport for your summer or winter vacation or outing in the Vail / Beaver Creek area. Rooted in the community for over 20 years! Adventure guide specializing in creating unforgettable outdoor experiences.